The Naftali Group has successfully launched sales at 221 West 77th Street, a 26-unit condominium located between Amsterdam and Broadway on a picturesque, tree-lined block on Manhattan’s Upper West Side. Designed by Thomas Juul-Hansen, the building boasts a striking façade comprised of Danish brick and bronze Muntz metal, and is strategically located just steps away from many neighborhood favorites including Central Park, Riverside Park, and the American Museum of Natural History.221 West 77th is Naftali Group’s second luxury boutique condominium on the block; the first – 210 West 77th Street – reached 70% sold after only 4 months on the market. Naftali is also working to enhance the surrounding neighborhood for residents with plans to add more trees, new streetlamps and sidewalks on 77th between Amsterdam and Broadway.“Both 210 and 221 bring spacious luxury homes to an area where there is a real need for this type of inventory. We have already transformed the neighborhood dynamic with these beautiful residences, and now we are taking things to the next level by revitalizing the entire block,” said Miki Naftali, founder, chairman, and CEO of the Naftali Group.Ranging from two- to five-bedrooms, 221 West 77th boasts layouts spanning 1,715 square-feet to 5,992 square feet. Units are comprised of half and full floors, as well as a townhouse and expansive penthouse. Kitchens were designed by the renowned firm SmallBone of Devizes and highlights include Miele appliances, solid white oak floors, Marianna Soapstone countertops and backsplashes, Dornbracht fixtures, and a stunning Potomac Marble customized walnut table. 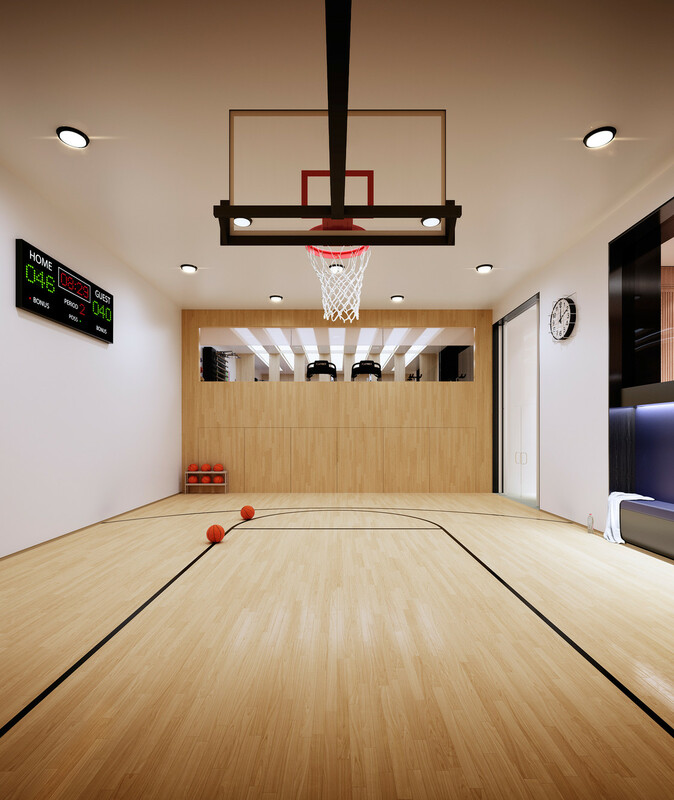 The bathrooms are elegantly outfitted in Andromeda Marble and blackened rift cut oak accents.Building amenities include a gym, doorman, on-site parking, lounge, and basketball court as well as a large roof deck boasting excellent views of the neighborhood. In addition to acclaimed cultural destinations, the building is conveniently located near Equinox, Soul Cycle and Pure Yoga; eateries such as Momofuku Milk Bar, Jacobs Pickles and Shake Shack, and gourmet markets including Citarella, Fairway and Zabar’s.“There has been tremendous anticipation for 221 West 77th Street to hit the market,” said Alexa Lambert, Executive Vice President of Stribling Marketing Associates. “After we sold half of the homes at 210 West 77th Street within weeks of launching, the build-up here has been unbelievable. We are expecting to sell at a very fast pace.”Prices for the 26 luxury homes start at $4 Million and go to $23 Million. Occupancy is slated for Spring 2017. For more information, please visit the website at www.221west77.com or call the sales gallery, located at 67 West 71st Street, at 212-221-0077. The Naftali Group is one of New York’s most active real estate developers of residential, commercial, institutional, mixed-use and retail properties. Collaborating with leaders in interior design, architecture and construction, the group is committed to excellence in developing properties that are exceptional in their attention to detail, quality, sustainability and design.Naftali Group currently owns, operates and is developing 14 residential properties in prime neighborhoods throughout New York City made up of more than 1,000 units and approximately 1,337,000 square feet. As a builder, owner and operator, Naftali Group’s portfolio includes 277 West 10th Street, 182 West 82nd Street, 210 West 77th Street, 219 West 77th Street, The Seymour at 261 West 25th Street, 234 East 23rd Street, The Arthur at 245 West 25th Street, The Landmark Park Slope, 33 Beekman and other multifamily assets and investments throughout New York City. For more information please visit www.naftaligroup.com.